Editors Note: The Ken Burns and Lynn Novick documentary The Vietnam War premiered on PBS last Sunday, September 17. Mark A. Lawrence, Associate Professor of History at the University of Texas at Austin and preeminent historian of the Vietnam War, reflects on what we are learning from historians’ renewed interest in the subject, especially with new scholarship based on Vietnamese sources. These are boom times for historians of the Vietnam War. One reason is resurgent public interest in a topic that had lost some of its salience in American life during the 1990s. At that time, the end of the Cold War and surging confidence about U.S. power seemed to diminish the relevance of long ago controversies and the need to draw lessons from America’s lost war. But then came the wars in Afghanistan and Iraq: grueling conflicts that, in key respects, resembled the war in Southeast Asia three decades earlier. Critics complained that George W. Bush had mired the nation in “another Vietnam,” and military strategists focused anew on the earlier war for clues about fighting insurgents in distant, inhospitable places. For their part, historians seized the opportunity to reinterpret Vietnam for a younger generation and especially to compare and contrast the Vietnam conflict with America’s new embroilments. More recently, intense public interest in the war has been sustained by fiftieth anniversaries of the war’s most harrowing years for the United States. Publishers have used these occasions to release high-profile histories, including Mark Bowden’s widely reviewed Hue 1968, a sprawling account of the largest battle between U.S. and Communist forces during the 1968 Tet Offensive. The media are taking part as well. During 2017 and early 2018, the New York Times is publishing an online series of approximately 130 op-eds focused on the events of 1967. The biggest moment of all is due in late September: the premiere of the much anticipated 18-hour documentary on the war from Ken Burns and Lynn Novick, an event certain to inspire new waves of commentary about Vietnam and to rekindle debate in living rooms across the nation. 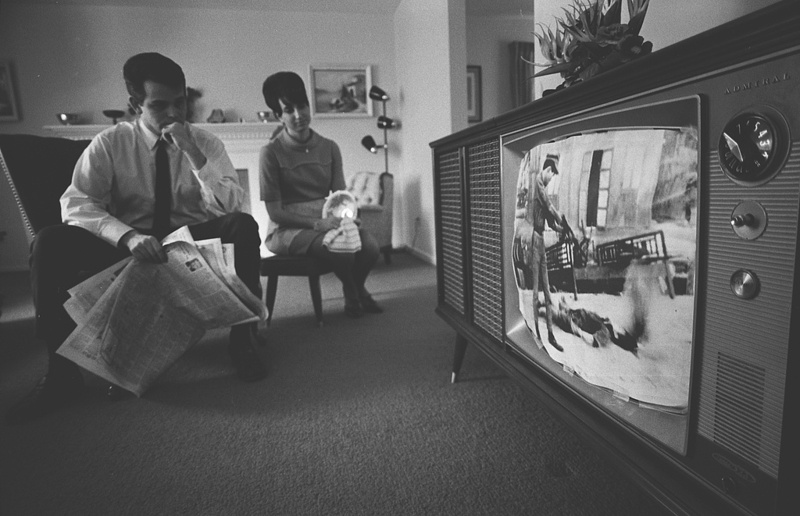 Footage of Vietnam being broadcast in an American living room, February 1968 (via Wikipedia). The first episode of the highly anticipated The Vietnam War by Ken Burns and Lynn Novick premiered on Sunday, September 17, once again bringing a divisive and contested history into American living rooms. But there is another, less noticed reason for renewed attention to the Vietnam War: Spectacular new source material has transformed the possibilities for writing about the subject. Some of this new documentation has emerged from U.S. archives as a result of declassification in the last decade or so. Records from the Nixon and Ford presidencies (1969–1977), especially, are making it possible for historians to write with more confidence and in greater detail about the final stages of U.S. involvement in Vietnam, long a relatively neglected era of the war. Indeed, the last phase of U.S. military operations has recently spawned an especially contentious debate on one of the most fundamental controversies about Vietnam: Could the United States and its South Vietnamese allies have won the war if the American public had not turned against it? Provocative new works by Lewis Sorley and Gregory Daddis lead the way in arguing for and against, respectively, the notion that the U.S. military could have secured overall victory, if not for crumbling political support within the United States. Meanwhile, writing about every phase of American decision-making has been enhanced by the release of audio recordings that U.S. presidents from Franklin D. Roosevelt to Richard Nixon made of important meetings, telephone conversations, or both. Because these often convey the mood and emotions of senior policymakers, they are invaluable in helping historians gain a richer understanding of the motives that underlay decision-making about the war. It is now possible, for example, to hear Lyndon Johnson’s anguish about escalating the U.S. role in 1964 and 1965. 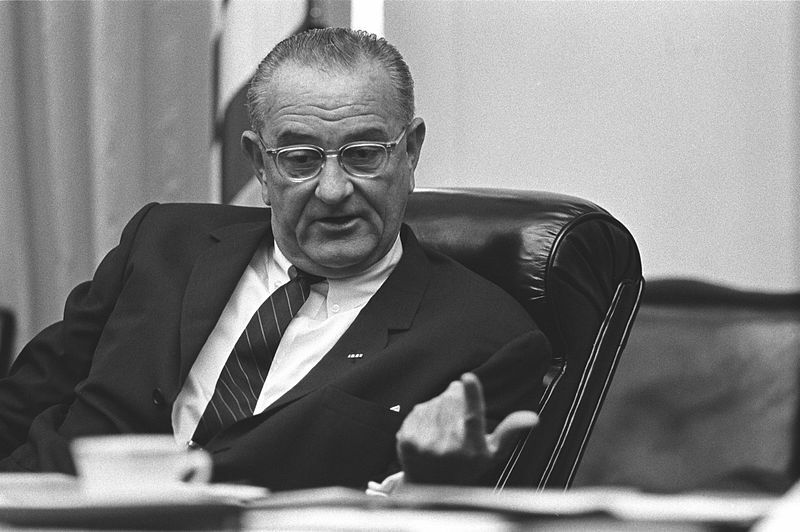 LBJ’s doubts, along with his obvious awareness of the problems that would beset U.S. forces if he escalated the war in Vietnam, have led many historians to scrap the once dominant idea that leaders in Washington, ignorant of Vietnamese politics and blinded by Cold War assumptions about the dangers of communism, walked step-by-step into a “quagmire” that no one had anticipated. The old question—How could Americans have been so ignorant?—has been replaced by a new one: Why did U.S. leaders commit the nation to war despite abundant doubts and accurate knowledge of the obstacles they would confront? The most impressive new source material, however, has emerged from countries other than the United States. As recently as 30 years ago, historians were limited to U.S. and West European sources, making it impossible to write with authority about Vietnam itself or decision-making by North Vietnam’s allies, China, the Soviet Union, and Eastern European nations. Everything changed with the end of the Cold War. East European nations went furthest in opening their archives to researchers. 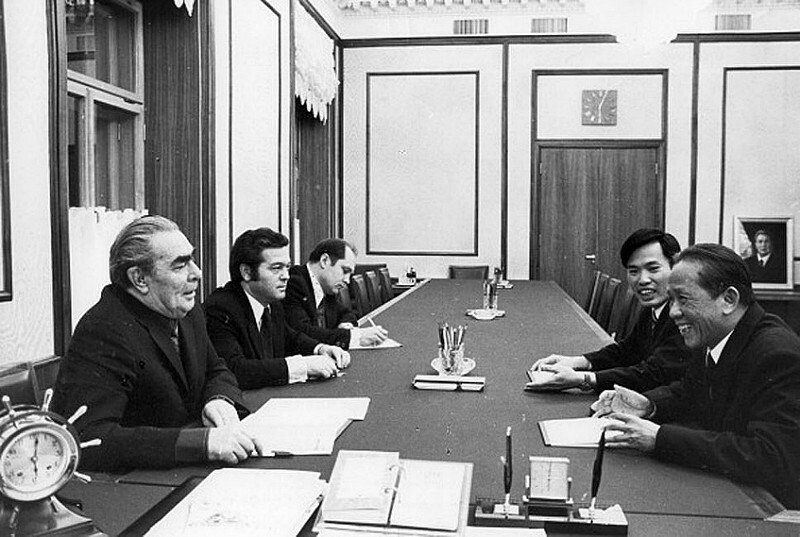 For its part, the Russian government opened some Soviet-era records, most notably the records of the Communist party. China and Vietnam, where the end of the Cold War did not produce dramatic political change, lagged behind, yet even those governments gradually permitted access to some records from the Cold War years. Most strikingly, the Vietnamese government opened troves of material amassed by the defunct regime in Saigon that ruled below the seventeenth parallel during the heyday of U.S. involvement. The result has been a large and growing body of new work by ambitious and linguistically skilled scholars eager to explore fresh dimensions of the war. Historians Mark Philip Bradley, Robert K. Brigham, William J. Duiker, Christopher Goscha, David S. Marr, and Sophie Quinn-Judge led the way in examining Vietnam’s experience, drawing on newly available Vietnamese sources to produce pathbreaking studies around the turn of the century. A younger generation of scholars, most of whom wrote dissertations rooted in extensive research in Vietnam, has built on those accomplishments and even, for the first time, begun delving into decision-making by the Communist government in Hanoi. Meanwhile, historians of Soviet and Chinese foreign policy, most notably Ilya Gaiduk, Chen Jian, and Qiang Zhai, have used new documentation to examine the complex relationships between the Vietnamese Communists and their superpower patrons. Unquestionably, archival openings in Russia and China, just as in Vietnam, remain partial and selective, leaving studies rooted in newly accessible material—stunning as it may be—highly susceptible to debate and revision as more documentation becomes available. Yet, measured against the near impossibility of doing this kind of work just three decades ago, historians have made remarkable progress toward rethinking the Vietnam War as an episode not just in U.S. history but also in Vietnamese and world history. Historians, in short, increasingly appreciate the war for what it was at the time: a multisided conflict involving numerous Vietnamese and international actors and driven by extraordinarily complicated and shifting motives. What precisely has this new research in non-U.S. sources revealed thus far? Three examples point to the variety and significance of the new discoveries. First, studies of Chinese foreign policy have revealed details of North Vietnam’s dependence on its mighty neighbor to the north in the years before the Cultural Revolution, which greatly diminished China’s ambitions abroad. 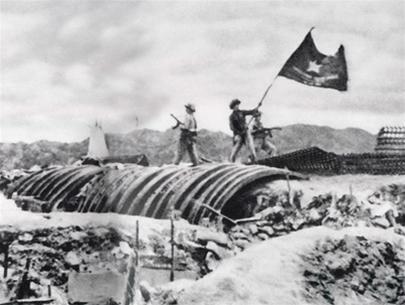 Despite historical tensions between Vietnam and China, newly available sources show definitively that Chinese military helped train and advise Vietnamese Communist forces from as early as 1950 and played an especially pivotal role in the 1954 Battle of Dien Bien Phu, the Vietnamese victory that ended French colonialism and dealt a major blow to the West in the Cold War. More strikingly, new documents clarify the vast amounts of equipment and even manpower that China provided to North Vietnam during the later fighting that involved U.S. combat forces. According to historian Qiang Zhai, China sent everything from military gear and weapons to table tennis balls, playing cards, sewing needles, and vegetable seed under a series of agreements with North Vietnam. At the same time, Qiang Zhai asserts, a total of 320,000 Chinese soldiers served in North Vietnam between June 1965 and March 1968, peaking at 170,000 during 1967. To be sure, Chinese forces were not assigned combat roles. But Zhai observes that they enabled North Vietnam to send more of its own forces to southern battlefields by performing valuable functions such as repairing bridges and rail lines, building and relocating factories, and manning antiaircraft guns. Such tasks could, of course, be hazardous, not least because of U.S. bombing of some parts of North Vietnam. According to Zhai’s sources, 1,100 Chinese soldiers died in North Vietnam and another 4,200 were wounded. Second, new sources from Vietnam are exposing the complexity of decision-making among Communist leaders in Hanoi. For many years, historians assumed that North Vietnamese leaders marched in lockstep and permitted no dissent. This view was sustained in part by the belief that the regime in Hanoi was totalitarian to its core and utterly subservient to its most powerful leaders, above all Ho Chi Minh. Recent discoveries have, however, called all of this into question. For one thing, historians Lien-Hang Nguyen and Pierre Asselin have revealed that Ho Chi Minh—long assumed to have been the preeminent North Vietnamese leader all the way to his death in 1969—in fact, lost a great deal of influence around 1960. The pivotal figure thereafter was Le Duan, a Southern-born revolutionary who remained relatively obscure to Western historians until recent years. Thanks to recent publications, though, it’s clear that Le Duan, a firebrand eager to throw enormous blood and resources into the effort to reunify his country under Communist leadership, dominated decision-making in Hanoi during the peak years of American involvement. Understanding the importance of Le Duan and the hawks who surrounded him helps enormously to appreciate the escalatory pressures that operated on the Vietnamese side, even as Lyndon Johnson and his aides stepped up the American commitment in the mid 1960s. We can now see that leaders on both sides rejected diplomacy and banked on military victory, a tragic convergence of hawkishness that fueled escalation. The dominance of the hawks in Hanoi does not mean, though, that there were no contrary voices once they were in the driver’s seat. Scholars working with Vietnamese sources have discovered evidence of substantial factionalism within the Hanoi regime throughout the late 1950s and 1960s. Broadly speaking, some high-ranking North Vietnamese leaders, including Ho Chi Minh, prioritized consolidation of Communist rule above the seventeenth parallel and were wary of major expenditures of lives and treasure to bring about reunification. Others, including Le Duan, strongly favored reunification—even at the cost of a major war likely to draw in the United States—over all other North Vietnamese priorities. New studies of the war show that North Vietnamese policy flowed from the interplay of these two points of view. During the late 1950s, the moderate faction held sway, and the result was a period of relative peace in Vietnam. With the triumph of the hawks, however, Hanoi embraced a new war and transformed North Vietnam into a full-fledged police state in order to keep the skeptics at bay. Third, the new scholarship has shed valuable new light on the nature of the South Vietnamese state that endured from its beginning in 1954 to its collapse in 1975. Was South Vietnam merely a puppet of the United States, an artificial creation doomed to fall apart whenever Washington withdrew its economic and military assistance? Or was it a viable nation with a legitimate government that, absent the onslaught by northern Communists, could have endured as a stable, pro-Western entity into the indefinite future? For many years, the debate was more a matter of polemics than historical inquiry. Opponents of the war argued that the United States hitched itself to a hopeless Potemkin experiment led by venal, authoritarian leaders, while supporters saw South Vietnam as a beleaguered young nation that, for all its faults, was doing its best to resist Communist aggression. Unsurprisingly, much of the new scholarship rooted in Vietnamese sources has argued for a gray area between these two extremes. Historians such as Edward Miller and Jessica Chapman focus especially on the late 1950s and early 1960s, suggesting that the South Vietnamese government headed by Ngo Dinh Diem possessed a degree of legitimacy and popular support unrecognized by Diem’s critics at the time or since. To be sure, they also point out the government’s inability to expand its base further among the South Vietnamese population. But they show that the South Vietnamese state possessed a remarkable amount of agency that its leaders might have exercised differently. All in all, these historians have helped restore the Vietnamese to the center of their own history. What do all these revelations mean for how we should understand the Vietnam War in its totality? Clearly, the new work in non-American sources holds implications for primordial questions about the U.S. role in Vietnam. Was the U.S. commitment to Vietnam justified by any genuine security interests in the region? Why did the United States fail to achieve its objectives despite monumental effort? Might different decisions by American leaders have led to a different outcome? Knowing more about the international and Vietnamese contexts makes it far more possible than ever before to form authoritative opinions about questions that cannot logically be answered fully on the basis of U.S. sources alone. But the new work also underscores the possibility of addressing questions that transcend the American experience and viewing the Vietnam War within the context of, for example, decolonization, the international Communist movement, and the Sino-Soviet split. The good news is that, given the range of new and still-to-be-released source material and robust interest in the war four decades after it ended, historians are sure to move forward energetically on both tracks. The boom times may stick around for a while.